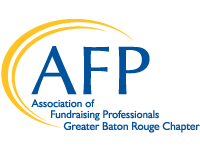 Please consider a gift to the Be the Cause/Every Member Campaign to support our philanthropic sector through education, advocacy and professional development awards. To make a gift online click on the donate button. For more information contact Alicia Murphy at 225.772.2547 or Admurphy1966@gmail.com.